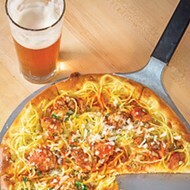 As long as youre catching any of the four sold-out Garth Brooks and Trisha Yearwood concerts July 14 and 15 at Chesapeake Arena, you ought to take advantage of some of downtowns tastiest places to eat. 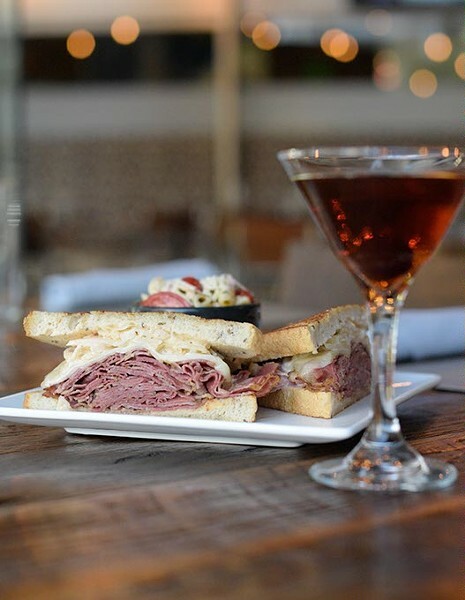 Whether youre used to black-tie affairs or youre short on social graces, treat yourself to a perfectly cooked steak, a slice of pizza or a sushi roll before joining more than 50,000 of their biggest fans for the first Oklahoma City concerts Brooks has performed in 20 years. Oklahoma is not shy about propping up its great country music legacy. Consider a pre-concert trip to Bricktown staple Toby Keiths I Love This Bar & Grill a tip of the hat to the states many greats. A musical tradition this grand needs big portions to boot. 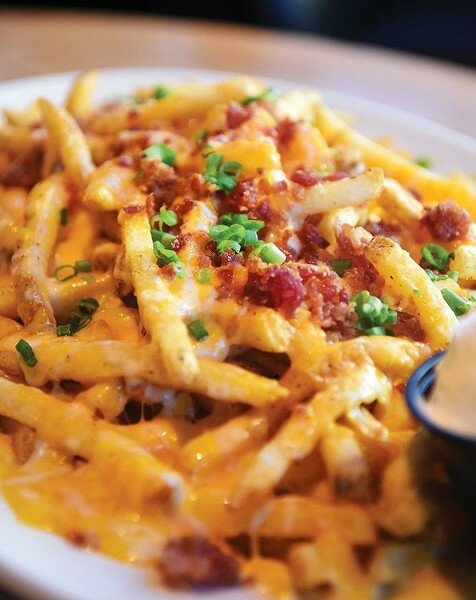 Tobys cheese fries can be found on the appetizer menu, but the hefty helping is more than enough to satisfy as a main course, especially when adding chili or pulled pork for $2 more. 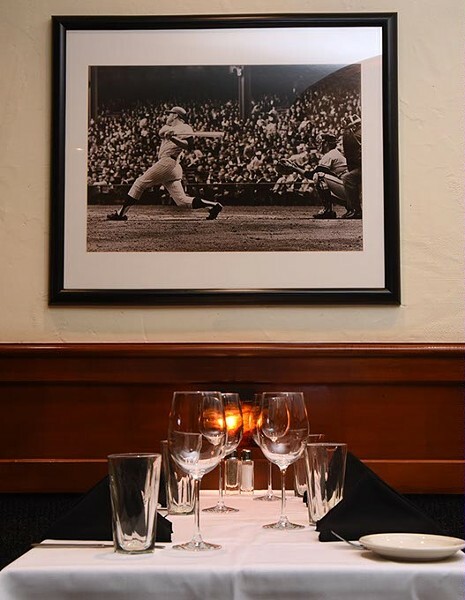 Mickey Mantle's Steakhouse dining room, 2-6-2015, Bricktown, Oklahoma City. Well, its bulls and blood, but only if you order your steak extra-rare at Mickey Mantles Steakhouse. Named for one Oklahoma hero, its a fine place to celebrate another with 22 ounces of prime cowboy cut rib-eye. And if youre looking for a spot where the whiskey drowns and the beer chases the blues away its elegant bar boasts a selection of Crown Royal single-barrel whiskey, Glenmorangie Pride single-malt Scotch whisky and local beers. 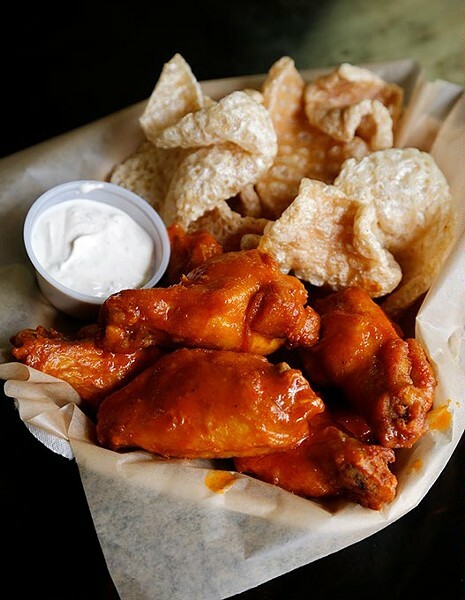 Tickets to see Garth and Trisha werent cheap, so if you spent most of your dough on getting into the show, you can still get a great, affordable dinner at Knucks Wheelhouse. Take a walk along the canal and grab a slice or three of whichever pies theyre serving at the counter. If youre feeding a group, order a whole pizza. Pepperoni is traditional, but for something a little wild, try The Voodoo, which combines Cajun crawfish, bacon, jalapeño and red onion for a potent, delicious dish. 2nd St. Poutine at Slaughter's Hall in Oklahoma City, Wednesday, Dec. 16, 2015. Just north of Bricktown is a neighborhood called Deep Deuce that is home to some of the best bars and restaurants in the city. Slaughters Hall is where to go to find great beers on tap served alongside delicious comfort food. 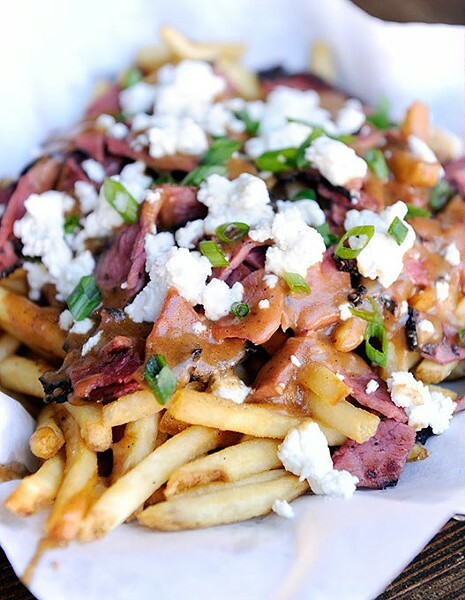 2nd Street Poutine makes a great snack by piling house-made pastrami, cheese curds and brown gravy over french fries, and the selection of macaroni and cheese is a delight. 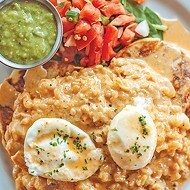 If youre still in town on the weekend, Slaughters also serves an excellent brunch 11 a.m.-3 p.m. Saturday and Sunday. North Of The Border burger and Buffalo Chicken DumDums at Urban Johnnie in Oklahoma City, Friday, Jan. 2, 2015. 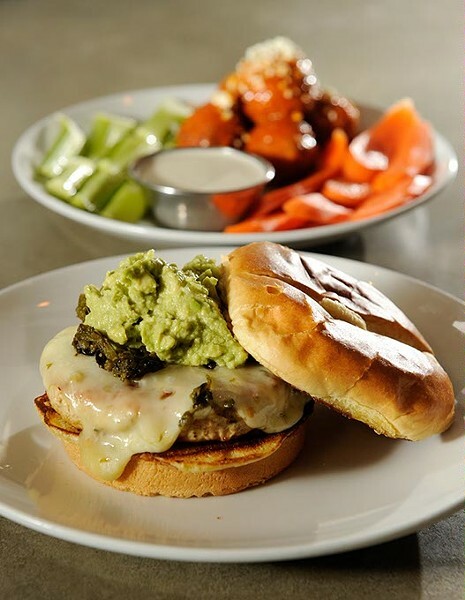 Anyone who lives in or around OKC likely knows about the famous burgers at Johnnies Charcoal Broiler, but visitors to downtown might not know that modern eatery Urban Johnnie comes from the same family. This Deep Deuce hotspot serves great grilled salmon and a scrumptious Buffalo chicken dumdum sub, but if youre craving a burger, youre in luck. Diners can indulge in Johnnies famous Theta burger, a Caesar burger or a delicious chili-cheese frankfurter. Pastrami reuben at The Manhattan, Thursday, June 22, 2017. 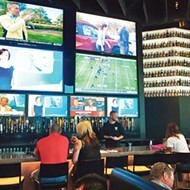 One of the newest watering holes downtown is The Manhattan OKC helmed by Rococo owner Bruce Rinehart. 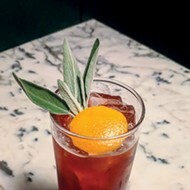 As the name suggests, Manhattans are the bars specialty, but you can also find local beers on tap, brews in bottles and cans and wines by the bottle and glass. 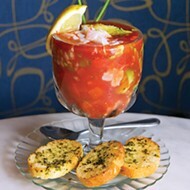 Drinks are the main thrust at The Manhattan, but trust chef Rinehart to make sure theres plenty of great food, too. The famous Rococo crab cake is a must. 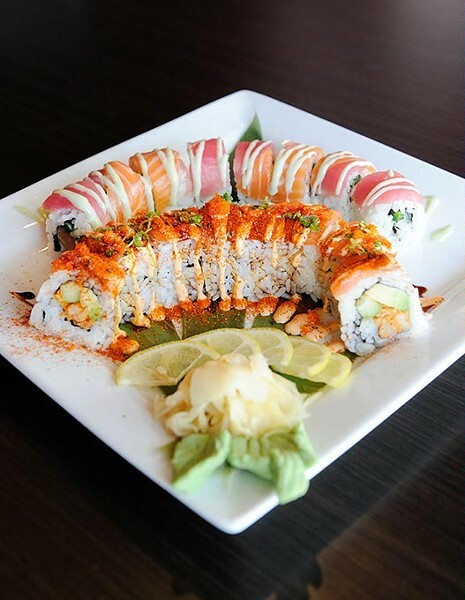 The Crazy Cajun and the Wasabi Roll at Park Harvey Sushi & Sports Lounge in Oklahoma City, Friday, Feb. 12, 2016. Wearing a 10-gallon hat and enjoying delicate slices of raw fish for dinner are not mutually exclusive. Cowboy up to the bar at Park Harvey Sushi for tender tuna and yellowtail nigiri, a sampling of freshwater eel sashimi and a few of the restaurants decadent specialty rolls. A sure bet is a Samurai roll with yellowtail, asparagus, jalapeño, kaiware (daikon radish sprouts), white tuna, citrus juice, chili sauce, green onions and sesame seeds in ponzu sauce.